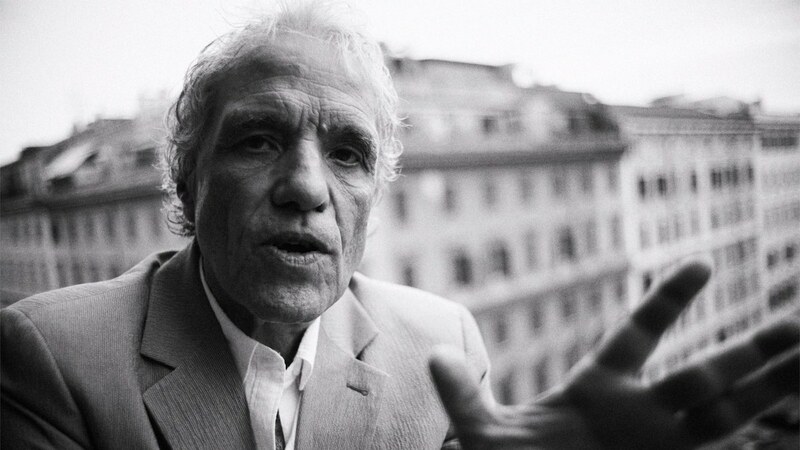 Abel Ferrara, the 66-year-old provocateur behind cutthroat classics The Driller Killer, Bad Lieutenant, and over 30 other feature films, dropped by The Roxy Cinema at the end of October for a special screening of Piazza Vittorio, his as-yet-unreleased feature documentary on the Roman city square of the same name. Any Ferrara project is sure to attract old-school No Wave heads and freaky cinema kids alike, and from Kelly Cutrone to Amos Poe to yours truly, this edition of the Artist Series was no exception. But when it comes to filmmaking, Ferrara’s not the kind of guy who fools around. Italy may have his heart now, but he gave the audience something to look forward to: his next film. “We’re shooting a movie now about a projectionist, a guy who owned Cinema Village when it was around back in the day,” he explained. He may feel like a proper paisano, but, as Cinema Manager Illyse Singer put it, he’ll always be the real king of New York.